Casumo get exclusive Thunderkick slot - Midas Golden Touch! We’re all familiar with the story of King Midas who wish for fortune and received the golden touch. In this story, the king learned a difficult lesson about greed. Because transforming everything, he touched into gold was more a curse than a blessing. As he realised after touching his daughter. In April 2019, Thunderkick brought this iconic tale to life in Midas Golden Touch. Originally, the new slot was only available on Casumo. But now that it’s two weeks’ exclusivity period is over. You’ll find the new Midas Golden Touch video slot in many 100% legal UK casinos listed here. With its familiar storyline, 15 paylines, 5 reels and 3 rows, who could have thought that this game would offer such an impressive max win? In fact, it’s the combination of feature and the high paytable that gives players the opportunity to win this much. In essence, throughout the gameplay, players will have the chance to trigger 10 Free Spins with Wild multipliers (up to 32x), and sticky re-spins too. And the good news is that players will have the chance to collect symbols to complete achievements to win even more Free rounds. After testing the game, we can honestly say that the Free Spins bonus of Midas Golden Touch keeps on giving. 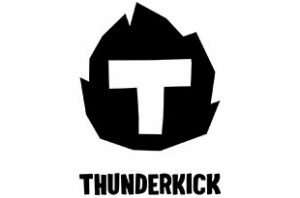 Thunderkick is a game studio that, generally speaking, likes to keep its cards close to its chest. Well, at least when it comes to their slot game releases. However, we now know that on May 8th, the Swedish game provider will release another game, Dragon Horn. For now, all we know is that Dragon Horn will be very volatile. Plus, the new slot will offer 243 ways to win. So stay tuned for more details.